Mt. 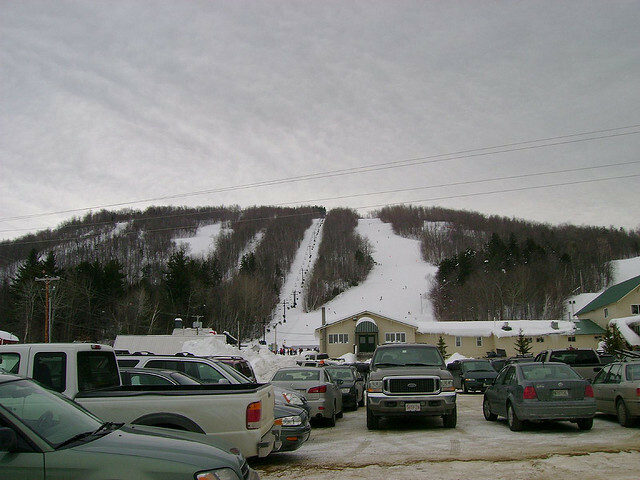 Abram, located in Greenwood, ME, is accessed by five lifts and has a verticla drop of 1,150 foot. Their 44 trails range from beginner slopes to tough expert runs such as Rocky's Run, and The Cliff. Mt. Abram also offers a jib park, with a bunch of friendly jibs and hits. Guests can enjoy the aprés scene at the Westside Lodge and experience the Loose Boots Lounge. Hungry guests can enjoy Abram's full restaurant, and those looking for some tunes can enjoy live music every Friday and Saturday from 3 p.m. to 6 p.m.
Two base lodges with a shuttle running between them, restaurant, and bar with live entertainment. Ski shop with sales and rentals, day care center for ages 6 months to 6 years, and ski instruction in alpine, telemarking and snowboarding. Eighty-five percent snowmaking.